What's in a Cotton Gin? 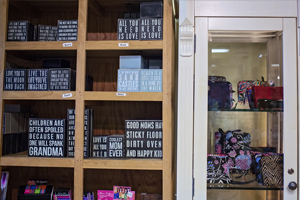 Each one of the four Cotton Gin locations holds thousands of top brands and specialty one of a kind gift items. 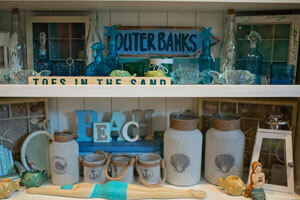 Visit a store in Corolla, Duck, Nags Head or Jarvisburg and take a piece of vacation home with you. 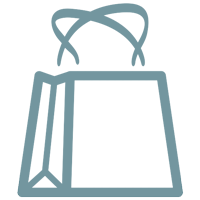 Whether you forgot to pack something or just want to spoil yourself, Cotton Gin locations carry many of the top quality beach beach brands you want with something stylish for everyone. Bold colors and luxury materials make up the iconic beach brand of both men's and women's sportswear, swimwear, accessories, footwear and more. 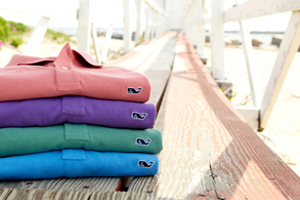 Clothing that's classic, authentic, and built with a purpose. 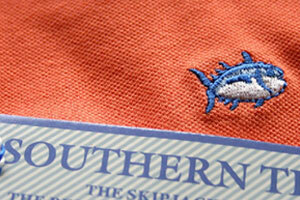 Southern Tide is always made with high quality materials. 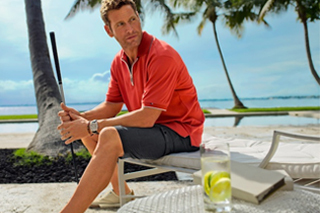 Created for the beach, Vineyard Vines has high end ties, hats, belts, shirts, shorts and bags for men, women, and children. 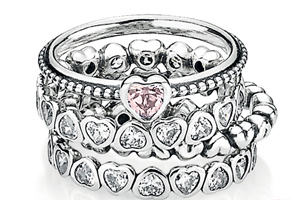 Pandora is a charming line of hand-finished and modern jewelry made from genuine materials at affordable prices. 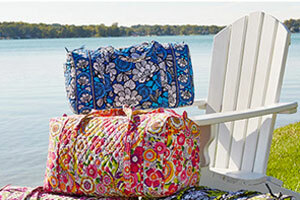 Stylish quilted cotton luggage, handbags and gifts using designs with distinctive, colorful fabrics and trims. 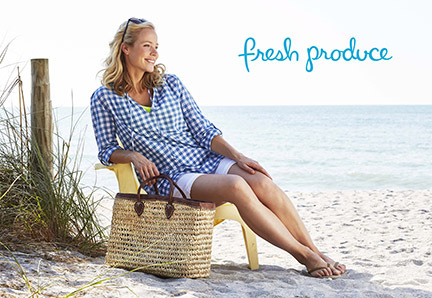 Fresh Produce designs resort wear for women that is colorful, comfortable, and inspired by a laid-back coastal attitude.. The Outer Banks is a beautiful destination located on the coast of North Carolina. 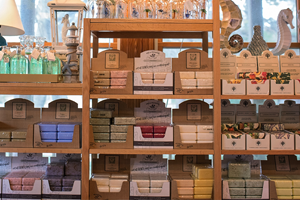 Everything that represents coastal living can be found inside a Cotton Gin store. 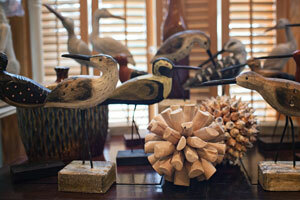 From hand carved waterfowl to hand painted nautical ornaments, there is something for everyone and every home. Cotton Gin offers one of the largest collections of nautical carving and wooden duck decoys available for sale on the Outer Banks. 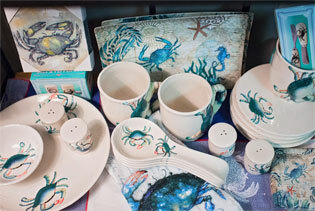 Browse porcelain place settings and stunning serving sets decorated with the natural beauty of the Outer Banks and sea life. 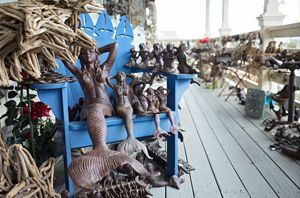 Through out the store you will discover unique items displaying mythical sirens, pirate artifacts and alluring mermaid decorations. 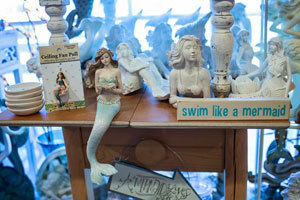 The Outer Banks is rich with nautical history of pirates and old wooden ships. 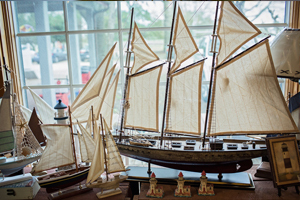 Explore models of ships new and old. Each location offers a different selection. 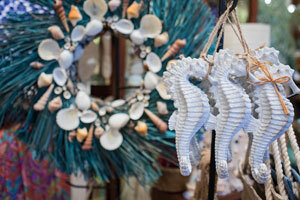 Walk through a winter wonderland of under the sea ornaments and decorations. Take home a new holiday ornament each year to remember your vacation. Complete your home with the comfort and finishing of a coastal country cottage. Look through hundreds of shabby chic treasures for your home. The Cotton Gin is proud of the huge collection of unique items. Our family searches to find one of a kind gifts and special items that can only be found here. Explore the store and you will find something to treat yourself to or to give as a gift. Fine lotions, fragrances and soaps are just some of the amazing body care products you will find. Brands like Pre De Provence and Wavertree & London. Each Cotton Gin carries a huge selection of items to add personality to your outdoor area and make spending time outside more enjoyable. 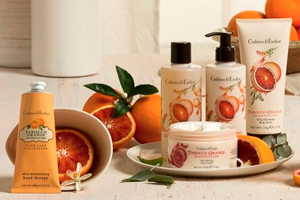 Each Cotton Gin offers a wide-range of Crabtree and Evelyn products. After a day in the sun and surf, treat your skin to luxury. 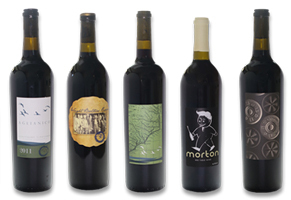 The Outer Banks produces some of the best wines in the state. Pick up a bottle of the award winning Sanctuary Vineyard and discover the taste of the Outer Banks. The list of gourmet goodies you can find seems endless when you wonder into a Cotton Gin. 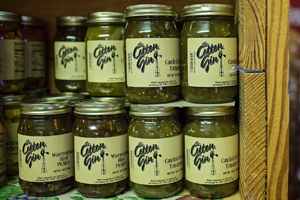 Jams and jellies, canned fruits and vegetables, hot sauces and gourmet goods. Don't come in hungry. 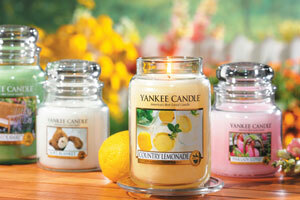 Yankee Candle, America's Best Loved Candle! will enhance and bring to life to your vacation Browse through the scented candles, unique home items and car fragrances. Spend hours reading the hundreds of different signs and saying that everyone loves. Take home a meaningful saying for yourself or someone else. Sculptures, bird baths, sun dials and so much more. 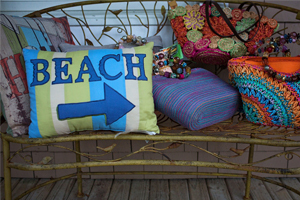 Cotton Gin carries one of the largest selections of outdoor yard art. 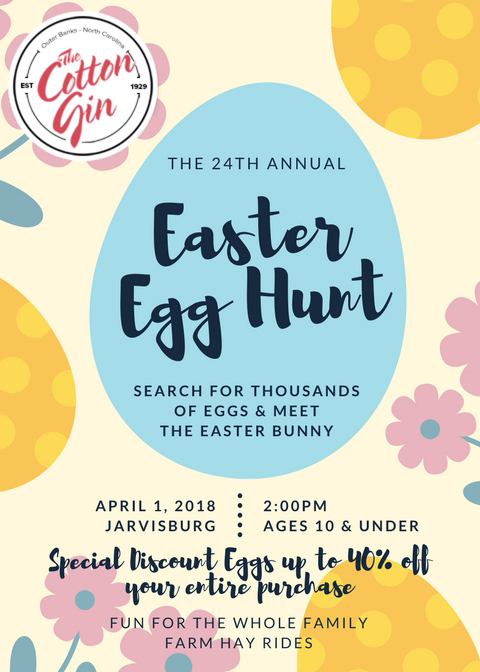 (largest selection is Jarvisburg location). 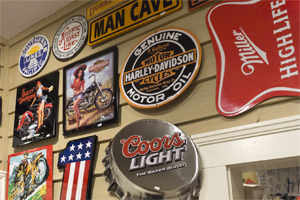 Browse through the piles of vintage looking signs and items that take you back to yesteryear. From the 1920's through the 1960's, if you're looking for something vintage, you'll find it here. the café by the vineyard.